Some of you reading this post will have already come across a lovely slimline book called ” Sod it! 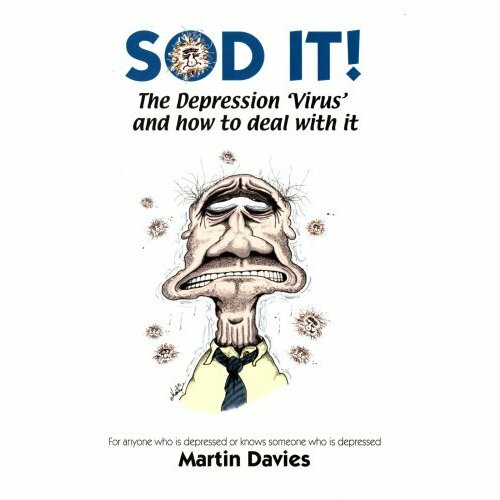 The depression ‘virus’ and how to deal with it” written by Martin Davies. If you haven’t yet discovered this gem, I recommend it for its light-hearted but very practical and informative way in which it explains what depression is, its symptoms, its causes and ways to help lift yourself out of the gloom. Illustrated with amusing cartoons throughout, this book is an easy read and perfect for friends and family who would like to understand more about depression and how they can help. As the author himself has experienced several episodes of depression the information and guidance clearly resonates. It is always easier to accept what are sometimes difficult messages from someone who understands and this is one of the reasons that this book is so successful. Treat yourself to some light reading over Easter and get this book now. I’m sure you won’t regret it.